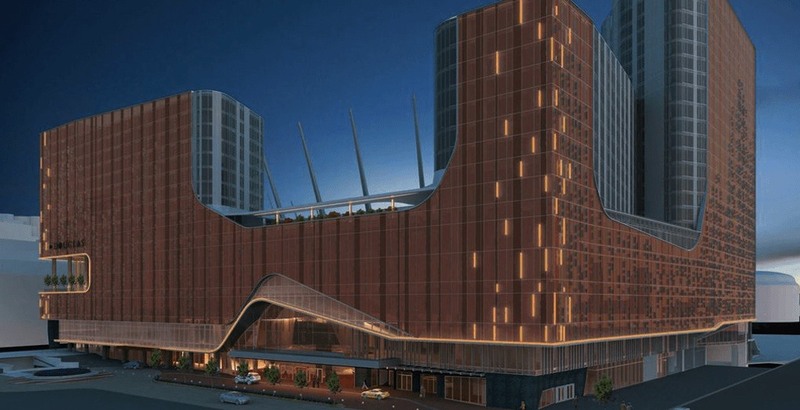 The much-touted Parq Vancouver urban casino resort next to BC Place Stadium in downtown Vancouver will open on Friday, September 29, and a celebratory roll of the dice at 11 pm will officially mark the auspicious occasion. With nearly 700,000 sq. ft. of floor area, the sweeping $700-million resort is one of Metro Vancouver’s largest entertainment destinations and one of the main attractions in the emerging False Creek entertainment district, but it is much more than just a new replacement casino facility for the nearby Edgewater Casino. There are two high-end Marriott-operated hotels with a combined 517 rooms, including the 329-room JW Marriott and the 188-room DOUGLAS, an Autograph Collection hotel. 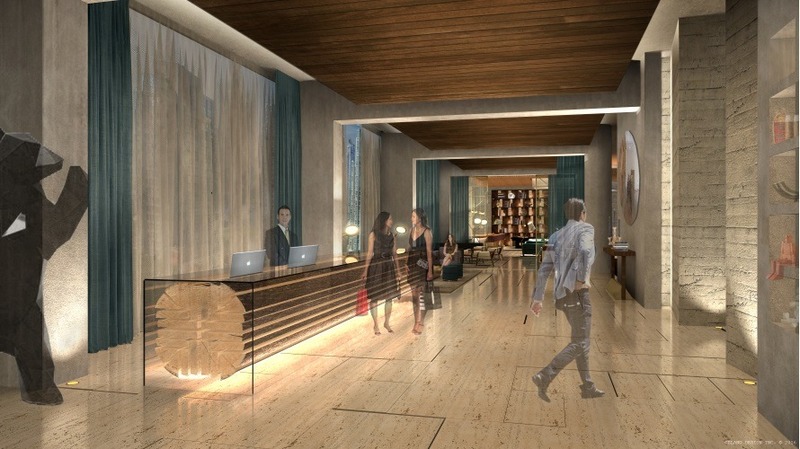 The JW Marriott provides Vancouver with another luxury hotel, with rooms located between the sixth and 25th floors, and Canada’s first Spa by JW while the DOUGLAS is designed for the ‘experiential traveler’ with rooms situated between the seventh and 17th floors. A full-sized replica of a Douglas fir tree is featured in the lobby of the DOUGLAS. Parq Vancouver also has some of Vancouver’s largest hotel meeting and convention spaces, with 62,000 sq. 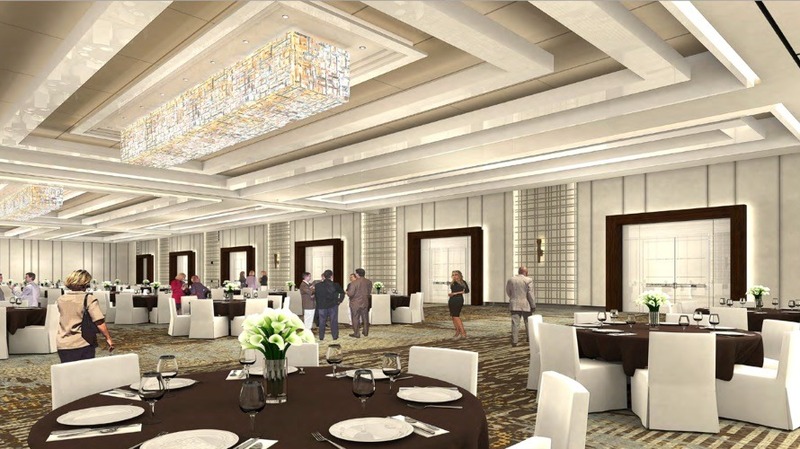 ft. across 13 ballrooms, boardrooms, and meeting rooms, including the 15,604-sq-ft Parq Grand Ballroom – the largest hotel ballroom in the city. On the rooftop of the casino complex’s six-storey podium, a large 30,000-sq-ft outdoor space dubbed The Parq is said to be the resort’s crown jewel. As a green space to enjoy a walk and take in the view or as a flexible outdoor event space, it has over 200 native pines as part of a design concept that pays homage to BC’s natural beauty. 1886: Drawing its name from the year Vancouver’s Chinatown first emerged, 1886 offers an inspired menu of dishes from four culinary regions of China: Canton, Szechuan, Hunan, and Shanghai, with an emphasis on Cantonese cuisine. It serves dim sum, dinner, and late-night. 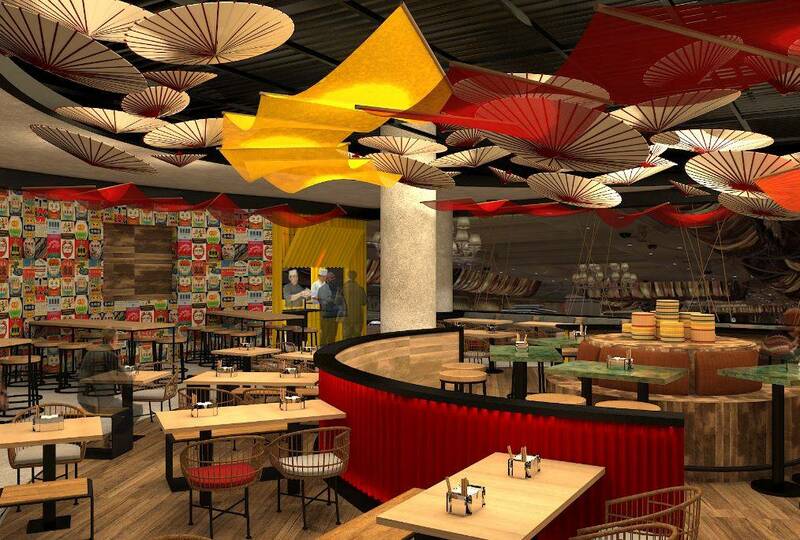 Mrkt East: Inspired by Singapore night markets, Mrkt East is an innovative and immersive dining experience featuring a menu of Chinese, Indian, Japanese, Thai, Singaporean, and Vietnamese favourites. Guests arriving for lunch or dinner will engage with cooks as their dishes are prepared, and the restaurant’s coffee bar will serve a variety of specialty coffees, bubble teas, espresso and pastries. Honey Salt: It serves regionally-inspired, farm-to-table cuisines from locally sourced ingredients. Boasting a lively bar of regional beers, spirits, and inspired cocktails, and serving breakfast, lunch, and dinner (as well as brunch and afternoon tea). BC Kitchen: Offering high quality and creative versions of classic bar “comfort” foods, with a twist. It has an exterior entrance leading directly to BC Place as a dining destination for stadium crowds. The Victor: It boasts a contemporary and seasonally inspired menu of Pacific Northwest seafood and steaks. Nestled alongside the sixth-floor rooftop park, The Victor showcases unparalleled views of False Creek and downtown skyline. 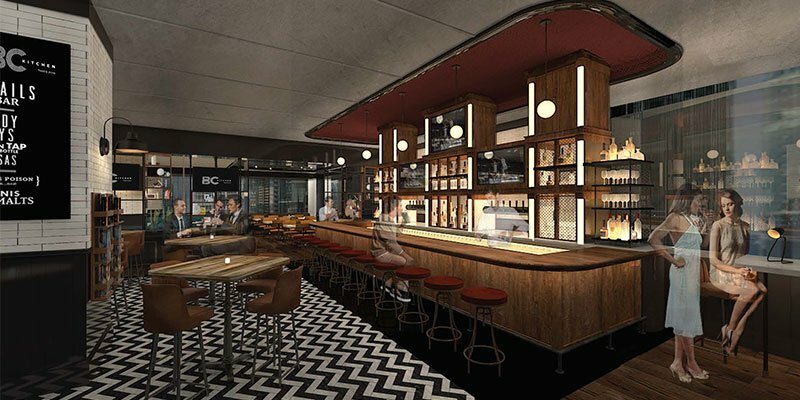 With a centrepiece sushi bar, expansive wine selection and a cutting-edge cocktail menu, The Victor will be a coveted dining and nightlife destination for guests and locals. Centre Bar: Accented by a spectacular glass chandelier, Centre Bar serves as the social hub of Parq Vancouver’s casino and a comfortable place to meet and converse. Guests can choose from a selection of signature cocktails, high-end premium spirits, and wine by the glass while observing the action on the gaming floor. D/6 Bar Lounge: An indoor/outdoor sky bar located on Parq Vancouver’s sixth floor spilling out on the rooftop park, D/6 is much more than a lobby bar serving the DOUGLAS, an Autograph Collection Hotel. With its inviting fireplace, bookcases, pool table, and a menu of handcrafted cocktails comprised of top shelf liquors and spirits, D/6 is a nightlife destination within a destination perched high above the city. Lotus Whiskey and Tea Lounge: It serves a variety of high quality, exotic, and internationally brewed loose-leaf teas during the day in a stylish and serene space. As day becomes night, Lotus presents an impressive selection of reserved whiskeys, scotch, and bourbon that will be a go-to for guests with a sophisticated palate. 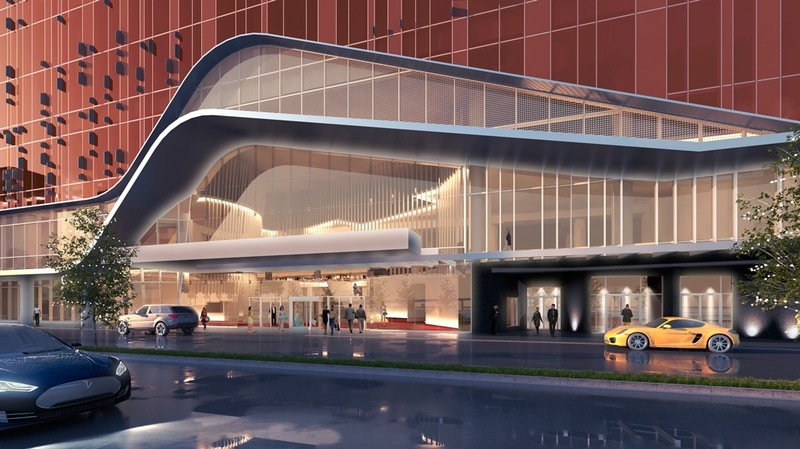 Edgewater Casino at the Plaza of Nations, which will be demolished for a redevelopment, will be relocated to a new world-class casino facility within the complex, occupying 72,000 sq. ft. of space on the second and third floors. 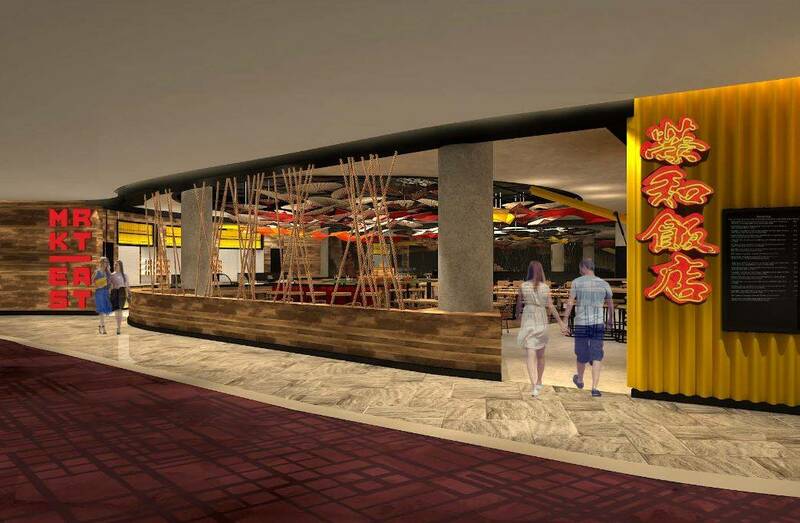 There will be 600 slot machines, 75 table games, a poker room, and 11 exclusive salons for a private gaming experience. 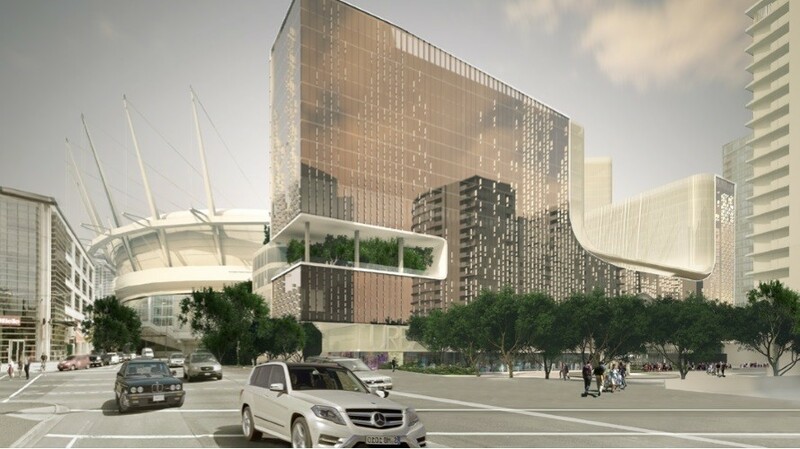 While most casinos are contained in a way that all outside visual distractions are sealed off, Parq Vancouver’s gaming levels are surrounded by floor-to-ceiling windows that allow natural light to flood in. Parq Vancouver also counters the poor environmental reputation that most casino complexes are known for. Its design is built to meet LEED Gold environmental standards. 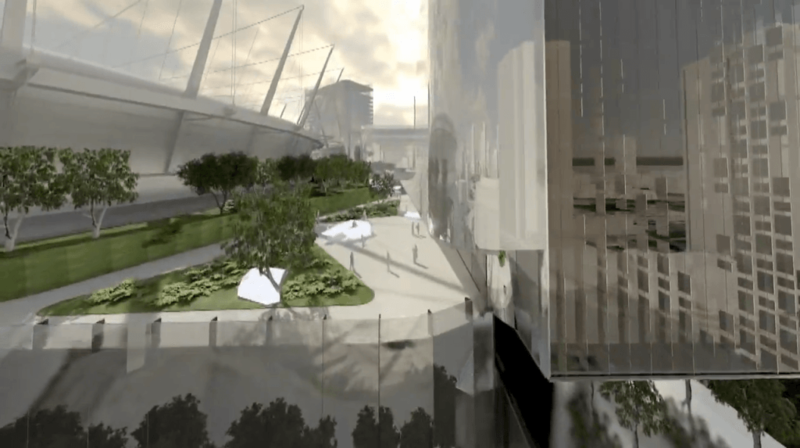 The resort can be accessed either through the main entrance on Smithe Street or the secondary entrance on the second level from BC Place’s Gate G.